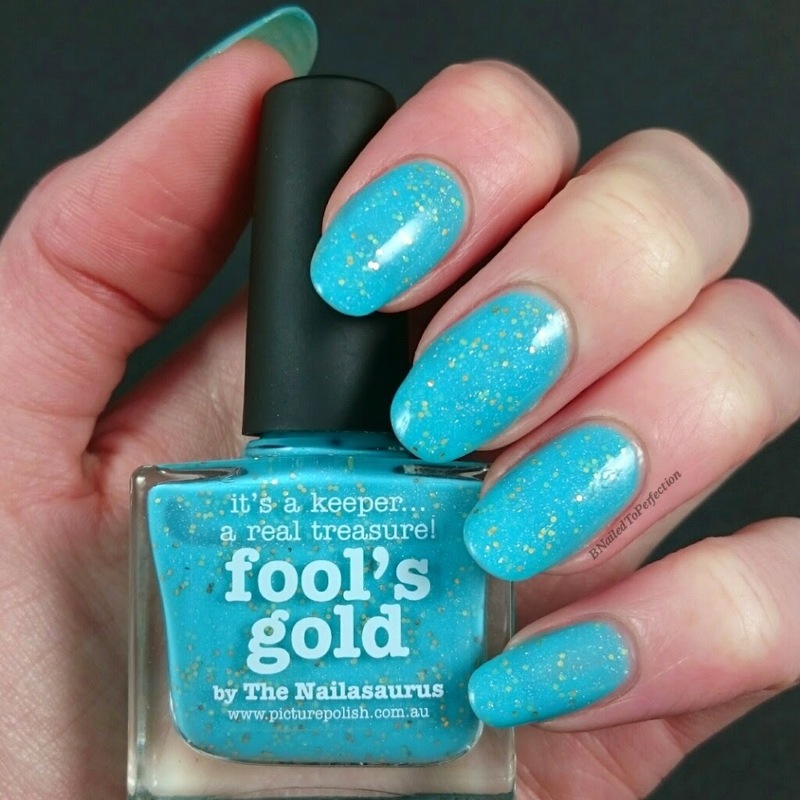 Well this polish certainly is a treasure! Ever since I saw it on The Nailasaurus I knew I needed it. 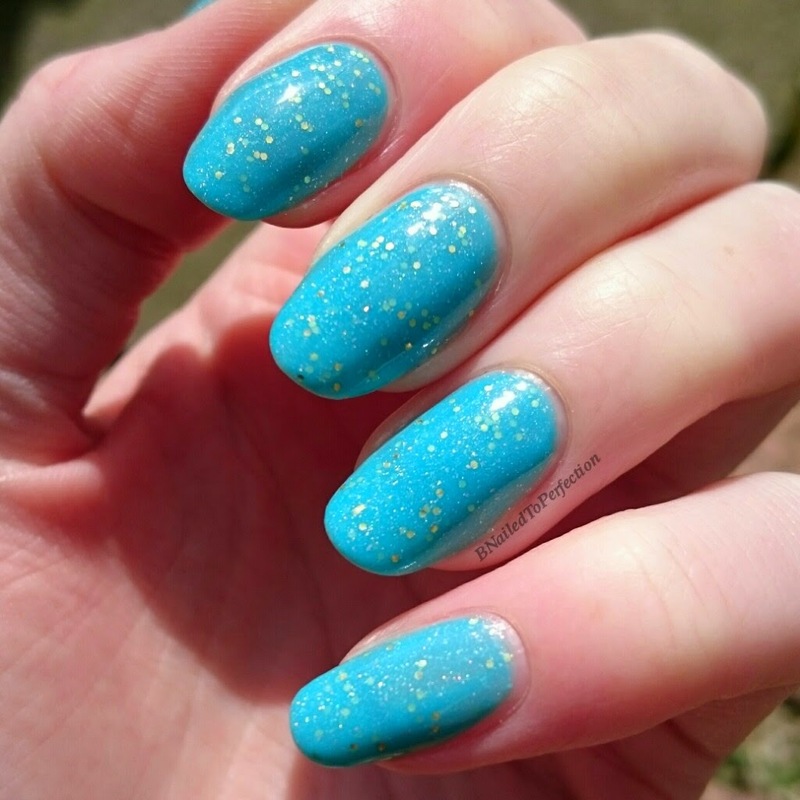 It is my favourite colour, turquoise, and has glitter running through it...what more could a girl want?! 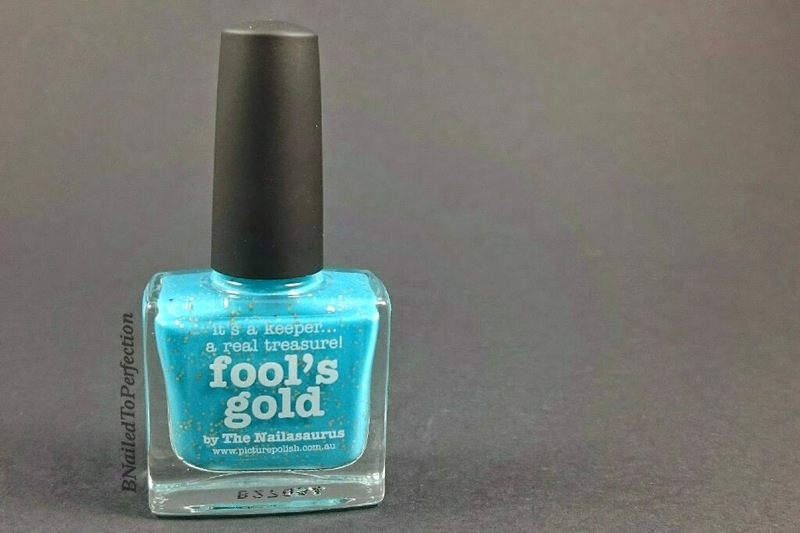 Well more nail polish obviously but you know what I mean, it's a dream polish for me! 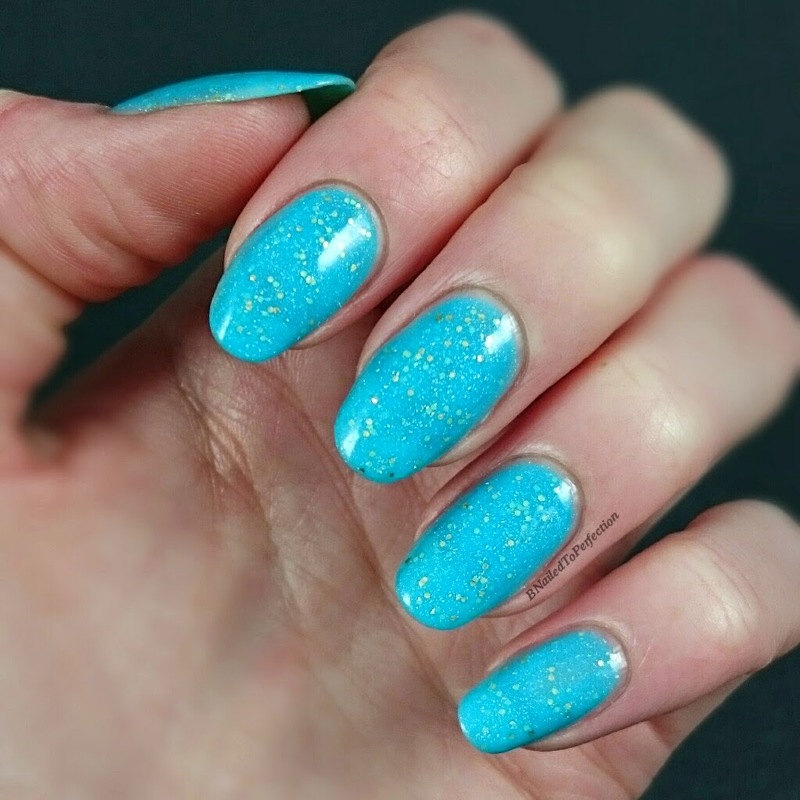 The polish has a jelly like consistency so I used three thin coats to build up the opacity. As it is jelly like you can see the glitter throughout the layers which is just beautiful and it applies very smoothly too. You can really see it sparkle in the sun! I decided to add something extra to it so I used these French Manicure Guides from Born Pretty Store that were sent for review and some glitter that they gifted to me..how nice is that? If you order from them be sure to use BNG10 at the checkout for 10% off! 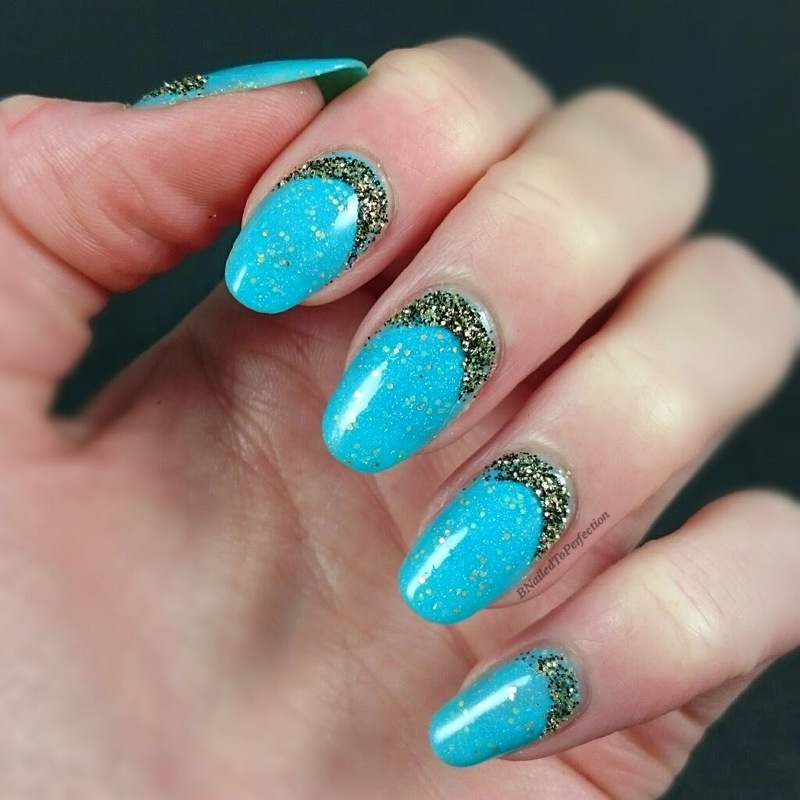 I think I prefer it on it's own without any nail art.. what do you guys think? Let me know in the comments down below.